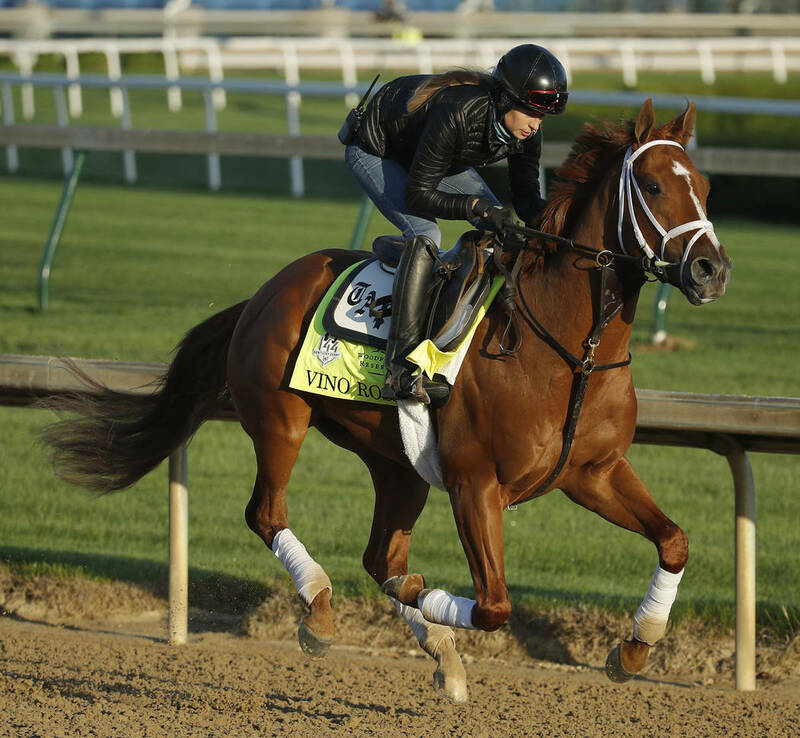 Wynn Las Vegas race and sports book director Johnny Avello handicaps the Kentucky Derby field. Five consecutive favorites have won the Kentucky Derby, and only one horse has won the race after not racing as a 2-year-old. 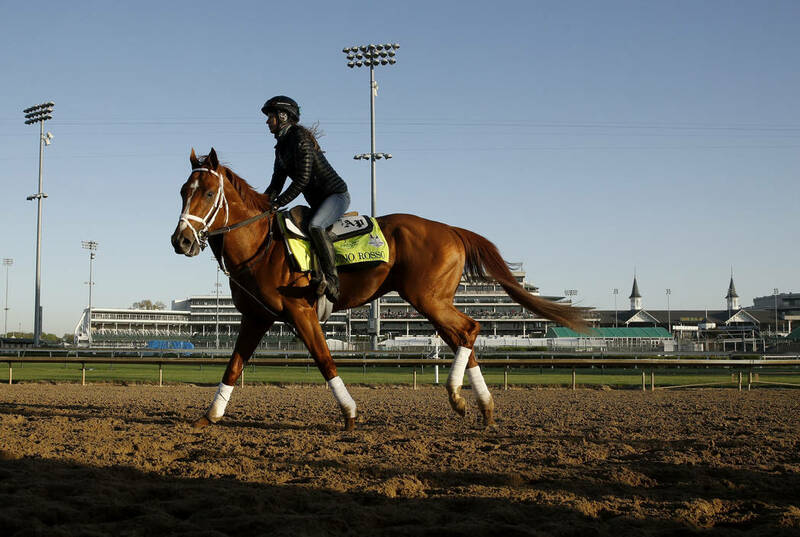 Something has to give Saturday at Churchill Downs, where Justify, the 11-4 morning-line favorite, will try to break the “Curse of Apollo” and become the first horse to win the Derby after not racing as a 2-year-old since Apollo accomplished the feat in 1882. Average horse, and shorter distances might suit him best. His times are slow, and leaving the gate cleanly seems to be a challenge. The No. 1 post is demanding and suggests a nightmare outing for him. Likes to settle back and make the big closing effort, but that move lately has stalled. Needs an enormous effort to find one of the top three spots. I expect him to go to the lead while expending all he has, which should be after about a mile. He should land in the bottom five. In nine starts, he has five wins and two seconds. There is a legitimate excuse for the two races last year when he didn’t run well. Has been training well, and with another push forward, he could surprise at a price. This is not one to discard. Four wins in a row, including a fabulous Florida Derby. It’s imperative for a good start out of the five-hole and then to maintain position. Jockey Javier Castellano and trainer Todd Pletcher can be a lethal combination. Some didn’t like his third-place finish in the Fountain of Youth, but I looked at it as a tuneup. His Blue Grass win reconnected him with his backers. Has been training well and appears primed for a colossal effort. Appeared on the scene just three months ago and has three wins in three races. He’s an exceptional talent, but my concerns are that his feet haven’t felt any surface besides Santa Anita, the size of the field is more than double of any he’s encountered and 150,000 people observing his every move might cause stage fright. His last race was his best by far. If he repeated that, he would have a shot for a minor award, but that’s a huge if. Like Justify, he’s had only three races and has improved in each of those. Has one of the sport’s hottest jockeys and, at double-digit odds, must be considered. Has started 10 races, which is more than any other horse in the field. A slow workout at Churchill is certainly a concern. The Desormeaux brothers have won big races together, but this late-running closer might need the race to fall apart to be in the mix. I did not expect him to be around for this race. He’s overcome an injury and ran well in the two preps at Santa Anita. Mixed feelings, but hard to knock. Won the Kentucky Jockey Club at Churchill in November, and it appears he likes the track. Had trouble in the Wood Memorial and still finished second. His price will be higher than it should be. His races have been satisfactory or a total bust. If you’re a Wayne Lukas fan, take a chance with the Hall of Famer who has won the Kentucky Derby four times. I’ll pass. Somewhat perplexed on this one. His last race on dirt, which he is bred for, was outstanding after running all of his previous races on turf or poly surfaces. A clean break from the gate is paramount. With a most favorable trainer-jockey combo, don’t take him lightly. Seems to have flat-lined the last two races, and 1¼ miles might be pushing it. Undefeated in four starts while winning at three tracks. A post position this far out makes the journey more difficult. Nevertheless, a talented colt. Pretty consistent performer hitting the board in all six starts. Would like to be closer to the pace, but the outside post might compromise that strategy. Plan B is to make a late run, picking off tired horses. 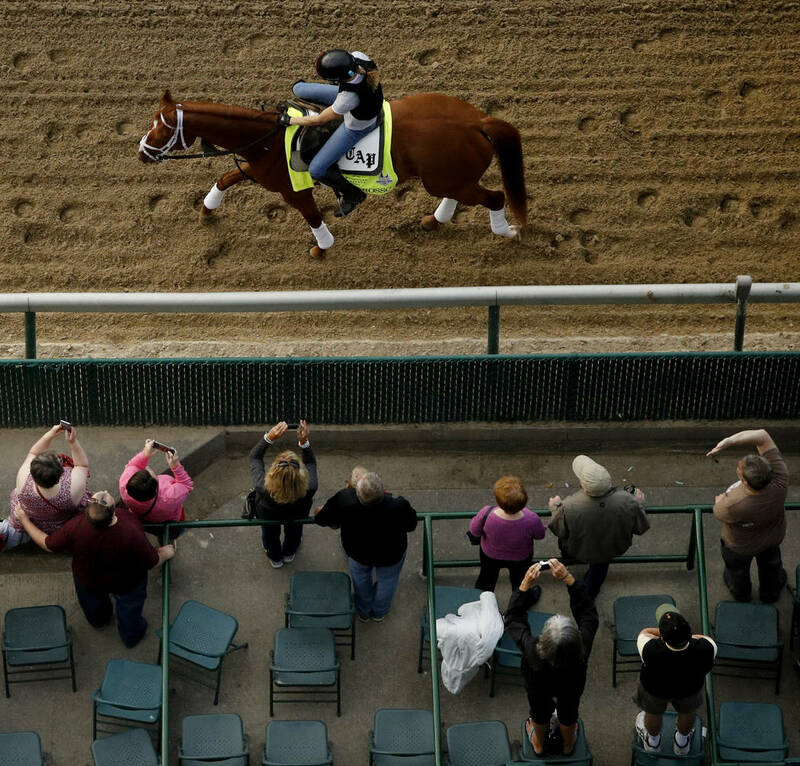 His last race in the Wood Memorial was his best, and that’s after overcoming a difficult trip. He needs a master like jockey Johnny Velazquez to maneuver through the troubled waters that a post position 18 might incur. Bullet workout over the Churchill surface this week. Dangerous. Although he’s won three of four starts, it was against a weaker group. Had trouble at the start in his last two races, and it doesn’t get less complicated out of gate No. 19. If he finds a favorable position quickly without exerting too much energy, I’d give him a shot for a piece of the pie. When turning for home in the Arkansas Derby, he looked like a sure winner, but flattened out just as he did in previous races. If you play superfectas and super hi-5’s, you might consider using him to complete the sequence.